Part of a global insurance group. Gazetted, non-gazetted or cross country. Covering the cost of your recovery when you need it. Providing full coverage for your modifications and accessories. Click here to phone, fax or email us. We’re open 9am to 6pm AEST, Mon to Fri.
Get a quote specifically tailored for you, via our secure online quoting system. Already started or completed a quote? Click here to retrieve it and continue. Had an accident and need to make a claim? Click here and we’ll show you how. Wondering if your diff locker is covered? Click here to find out what’s covered. 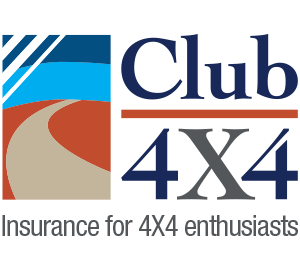 Want to learn more about Club 4X4 and what we do? Click here to find out about us . Get a quote using our simple online system. Just a tip though, have all of your paperwork handy as we’ll be asking you specific details about your rig! Does your current insurer understand you like we do? Click here for case studies of how it works. We understand what it takes to go touring. When you join Club 4X4, you will receive a free 12 month subscription to Pat Callinan’s 4X4 Adventures Magazine. * Subject to terms, conditions and exclusions. Please read the PDS before making any decisions on this insurance. We’re sorry to hear that but we’re here to help. (provided they are within your nominated sum insured). Joined the club? Let everyone know what you think. What’s new in the world of Club 4X4? Need to get in touch? Find our details below, we look forward to speaking with you soon.